May is rhododendron month where I live. 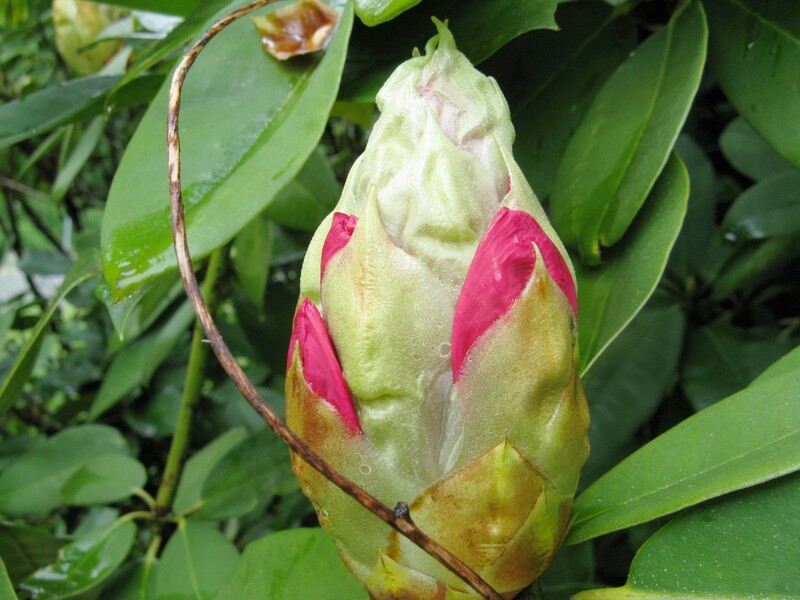 The flower buds on the rhododendron bushes open, producing beautiful, showy blossoms and a gorgeous display of color. This is a wonderful time of year for gardeners, photographers, and everyone else who loves the plants. The word "rhododendron" comes from two Ancient Greek words—"rhodon", which means rose, and "dendron", which means tree. Despite the derivation of their name, most rhododendrons grow as shrubs, which are evergreen or deciduous. Some are wild plants, but there are many cultivated forms. These are popular with gardeners and landscapers because of their large and very attractive flowers. I live in southwestern British Columbia, where the climate is perfect for cultivated rhododendrons. They grow well and abundantly here. Photographing the flowers is always enjoyable. Unless otherwise noted, all of the photos in this article were taken by me. All rhododendrons belong to the genus Rhododendron. The genus is the first part of the scientific name of a living thing. 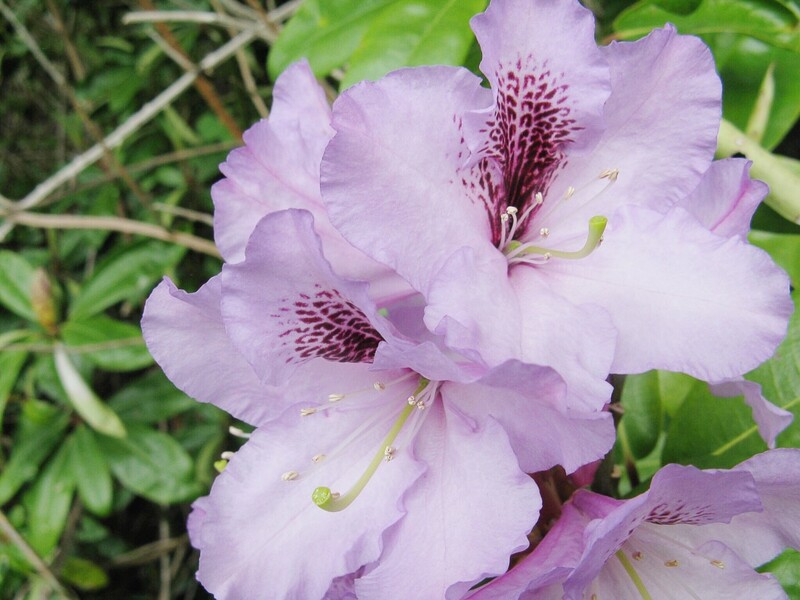 There is a huge variety of plants in the Rhododendron genus. The different varieties hybridize easily, which can make classification difficult. Plant breeders frequently create new hybrids to produce flowers with interesting characteristics. Cultivated plants are generally identified by descriptive and attractive names such as Pink Pearl, Saffron Queen, and Paprika Spiced. The cultivated rhododendrons in my area are evergreen plants with large leaves and spectacular flowers that open in late spring. Ornamental rhododendrons such as the ones shown in most of my photos have large, oval leaves with a glossy dark or medium green upper surface and a dull, pale green lower surface. The flowers are bell-shaped and are born in clusters known as trusses. They may be white, yellow, orange, pink, red, or purple in color. The flowers are often decorated with spots of a different color from the rest of the flower. Most of my local plants bloom in May, though some produce flowers in April. The flowers are still present in June and sometimes even later in the summer. By early June they've started to drop to the ground, however. The flowers of some types of cultivated rhododendrons open earlier or later in the year than the ones that are popular where I live. About a thousand species of rhododendrons exist. They belong to the family Ericaceae, which is often referred to as the heather family. 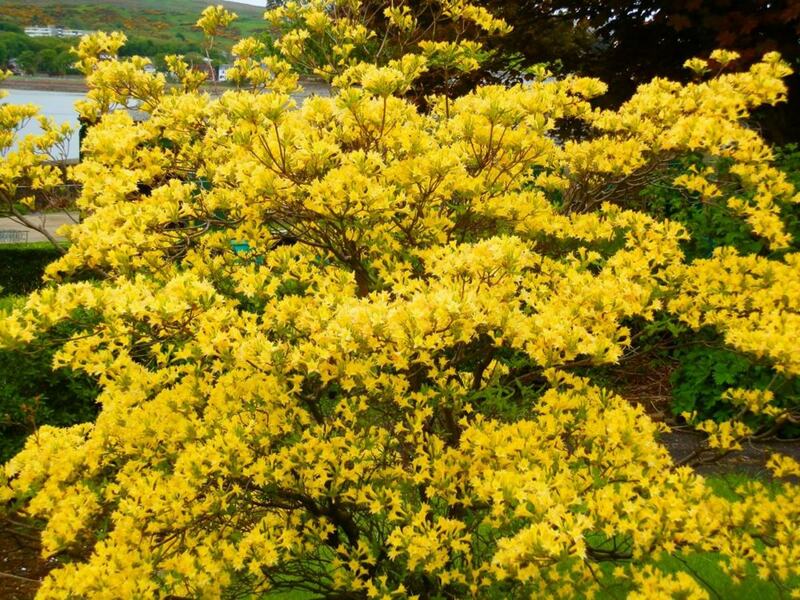 It may seem strange referring to azaleas in an article about rhododendrons, but azaleas are actually a type of rhododendron. The genus Rhododendron is divided into eight subgroups, or subgenera. 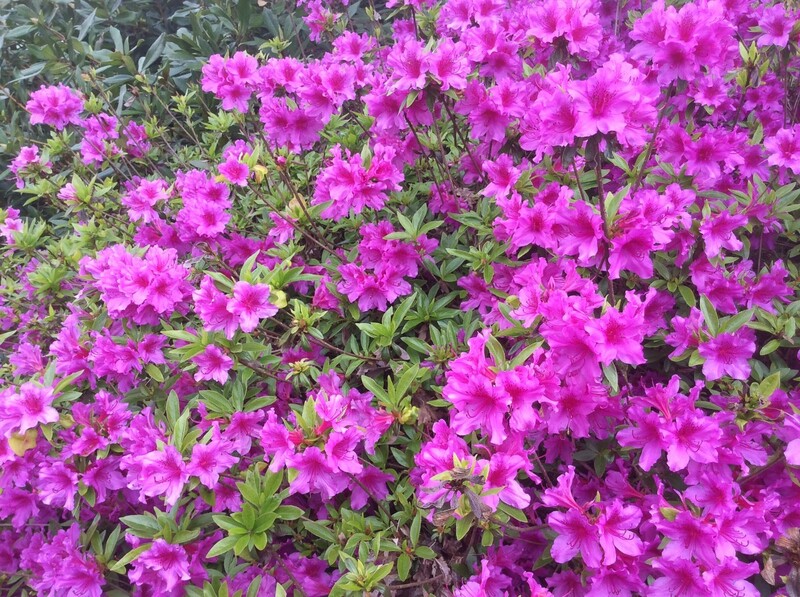 Azaleas belong to two of these subgenera. Azaleas are attractive flowering shrubs, but their flowers aren't as large or as showy as those of the rhododendrons that are so popular in my part of the world. 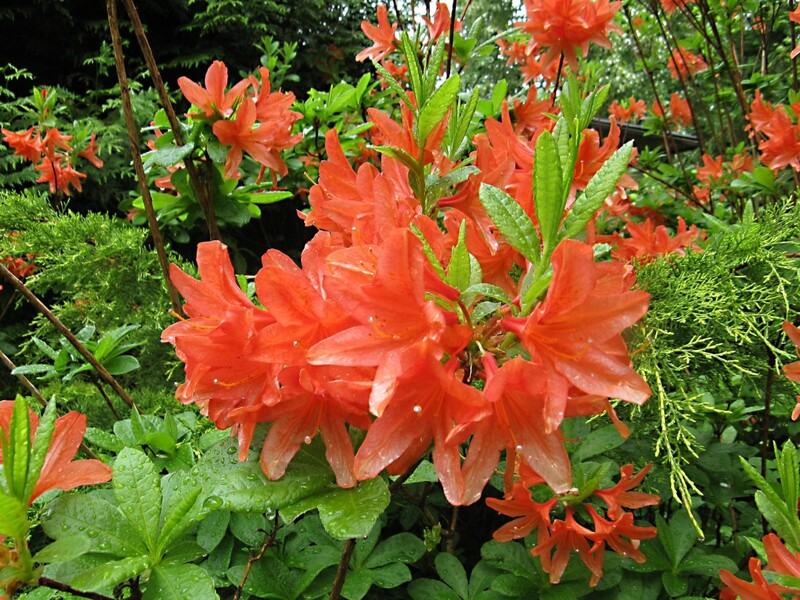 Azaleas also have smaller leaves and are shorter in height. 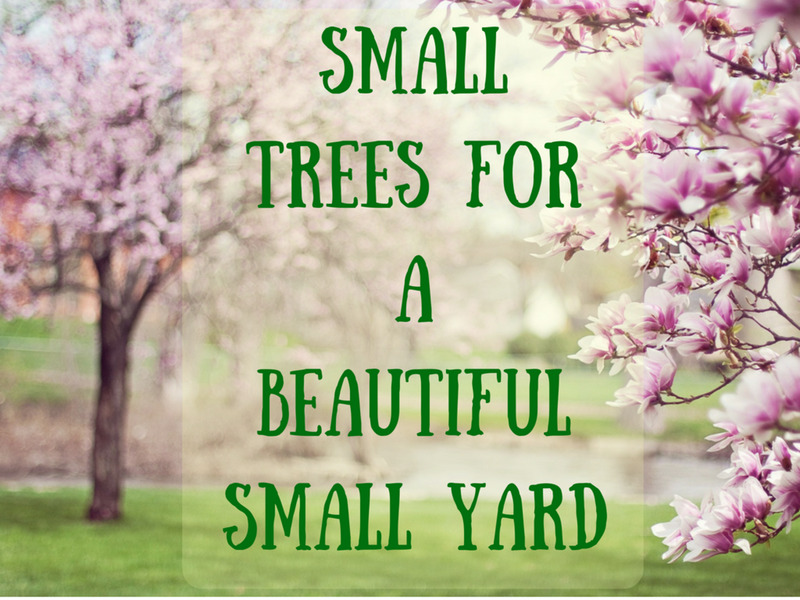 Ornamental rhododendrons can become very large plants and may reach the size of a tree. 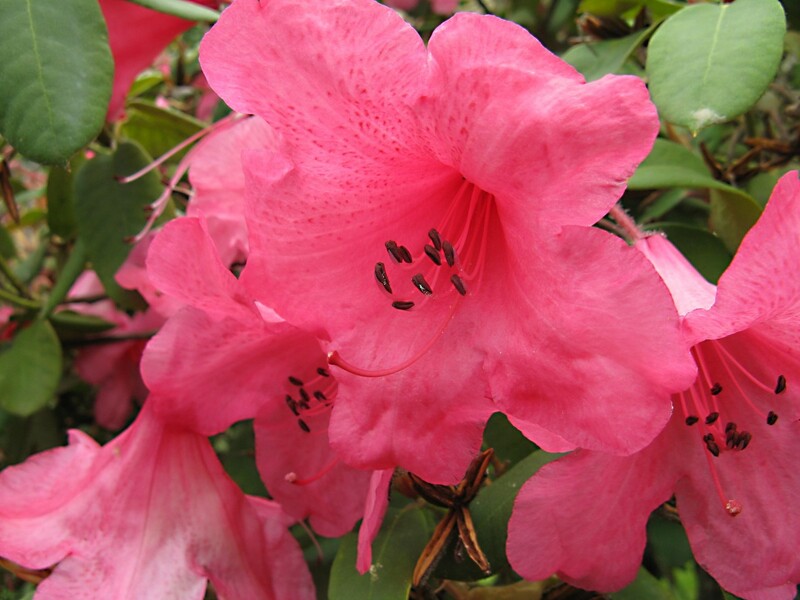 Most azaleas are deciduous while most ornamental rhododendrons are evergreen. Another way of distinguishing the two plants is to look closely at the flowers. 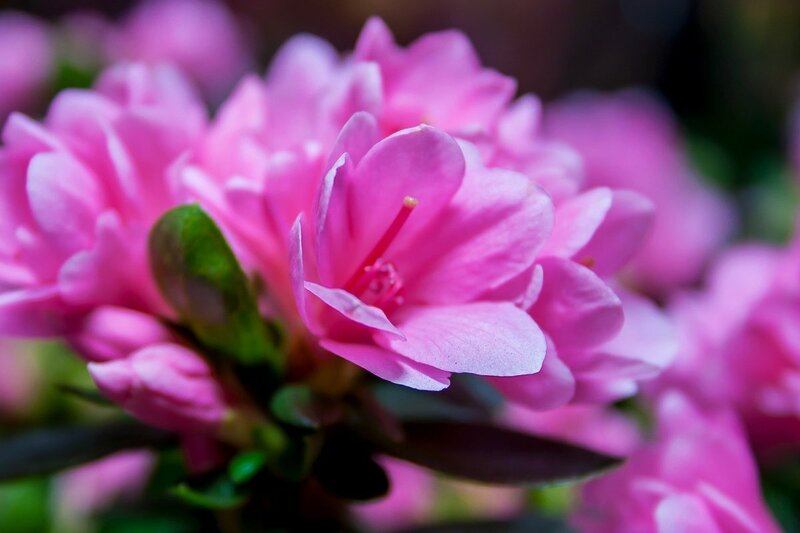 Azalea flowers tend to be more funnel-shaped than rhododendron flowers. In addition, an azalea flower has five stamens (the male reproductive structures) while an ornamental rhododendron has ten or more. The stamens produce the pollen grains. They surround the style, which is longer than the stamens and is part of the female reproductive structure. All azaleas are rhododendrons, but not all rhododendrons are azaleas. 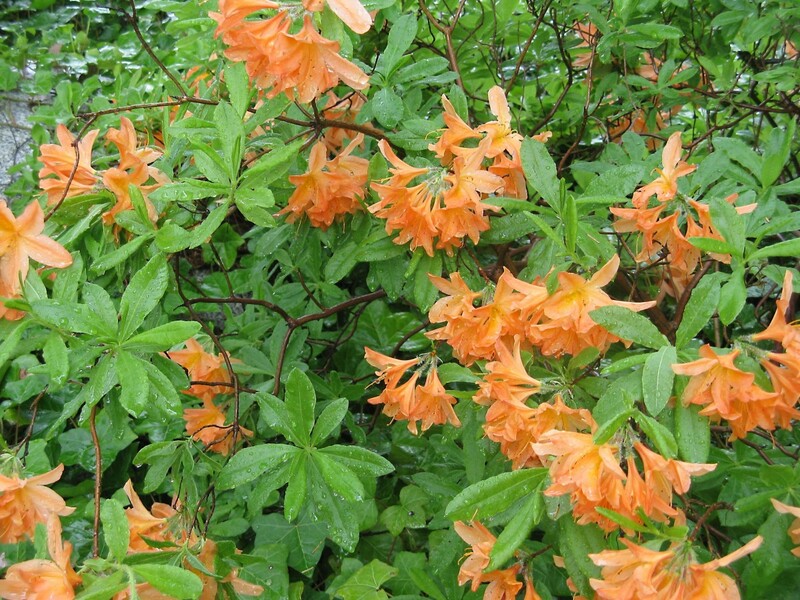 Evergreen azaleas belonging to subgenus Tsutsusi, and deciduous azaleas are classified in the subgenus Pentanthera. 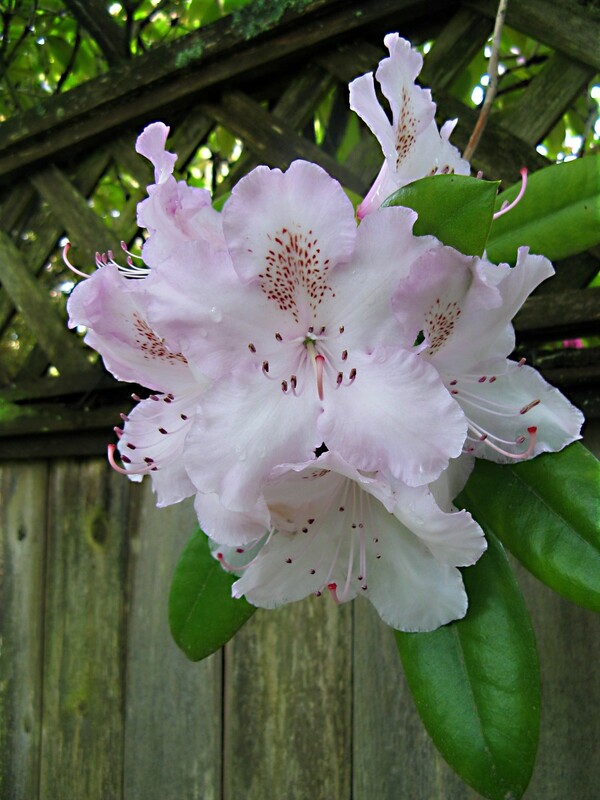 Rhododendron macrophyllum grows in the Pacific Northwest region of North America. This region is usually defined as the province of British Columbia in Canada and the states of Washington and Oregon in the United States. The common name of Rhododendron macrophyllum is the Pacific, Western, or Coast Rhododendron. The plant generally has pink flowers and is the state flower of Washington. Rhododendron arboreum is the national flower of Nepal. It's known as laligurans or gurans in that country and forms magnificent mountain forests. At lower elevations the flowers are bright red. They change to pink or white as the elevation increases. The plant is also found in India, Sri Lanka, China, Thailand, Bhutan, and Myanmar. Do not plant too deeply - all rhododendrons are surface-rooting and the roots should be just covered. Rhododendrons like a semi-shaded area with dappled sunlight. They will grow in an open area if the sun is not too hot, the soil is sufficiently moist, and there isn't too much exposure to wind. They don't do well in deep shade. The plant has shallow and fibrous roots that may be widespread. If it's planted in the partial shade of a tree, the tree's roots should be deep so that they don't interfere with the roots of the rhododendron. 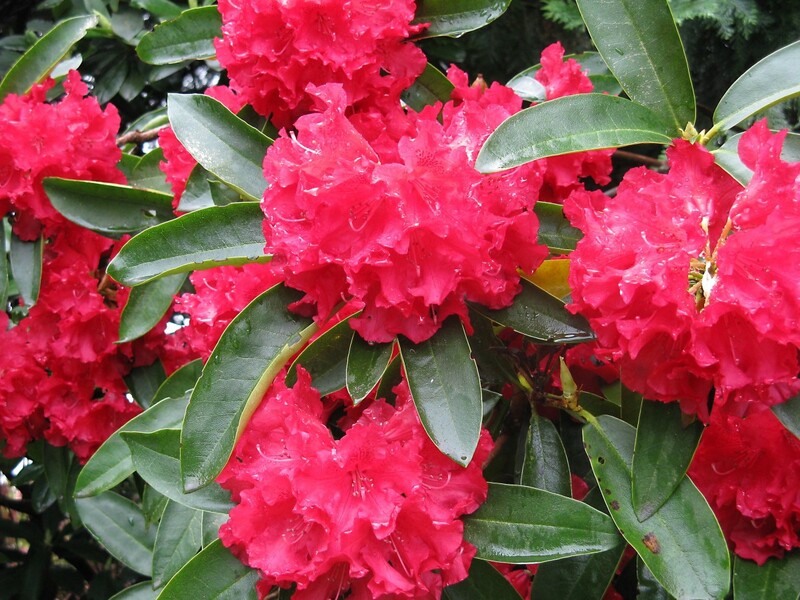 Most varieties of cultivated rhododendrons require moist but well drained soil that is slightly acidic. The soil should contain organic matter in the form of peat or compost. It should also be loose, crumbly, and well aerated. 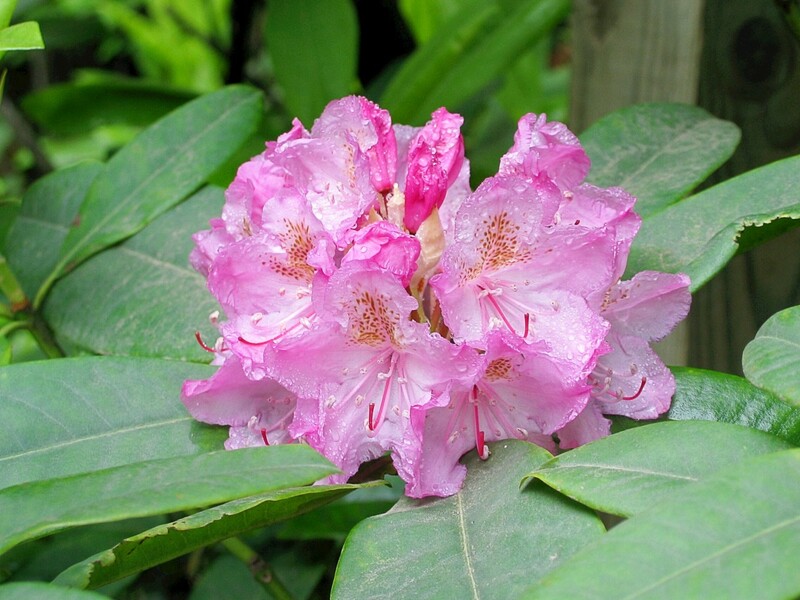 Rhododendrons require a good supply of water, but the soil mustn't be water-logged. Standing water can cause root rot. Mulch on the surface of the soil helps to retain moisture, discourage weed growth, and protect the roots from heat and cold. It's important that anything added to the soil—compost, fertilizer, or mulch—doesn't change its acidity. Once a rhododendron is growing successfully it may need attention to keep it healthy and compact. Removing dead trusses, or dead heading, not only makes the plant look more attractive but stops it from producing large amounts of seed. This allows its energy to be used for other purposes and may increase its growth. Pruning can help the plant maintain a desirable shape. Pruning should be done after the blooming period. Because of their shallow roots, little or no cultivation should be done around rhododendrons. 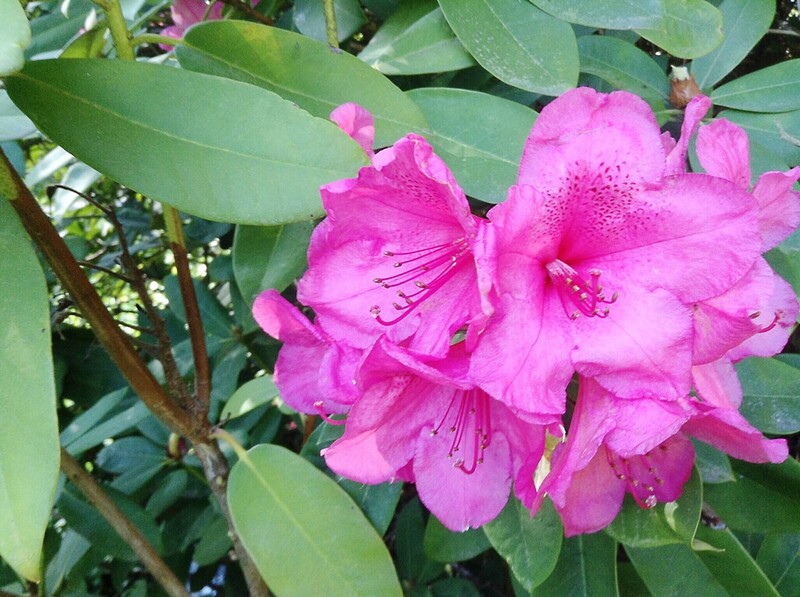 The main toxin in rhododendrons is a chemical called grayanotoxin. This substance is quite similar in structure to pinene, a component of turpentine. 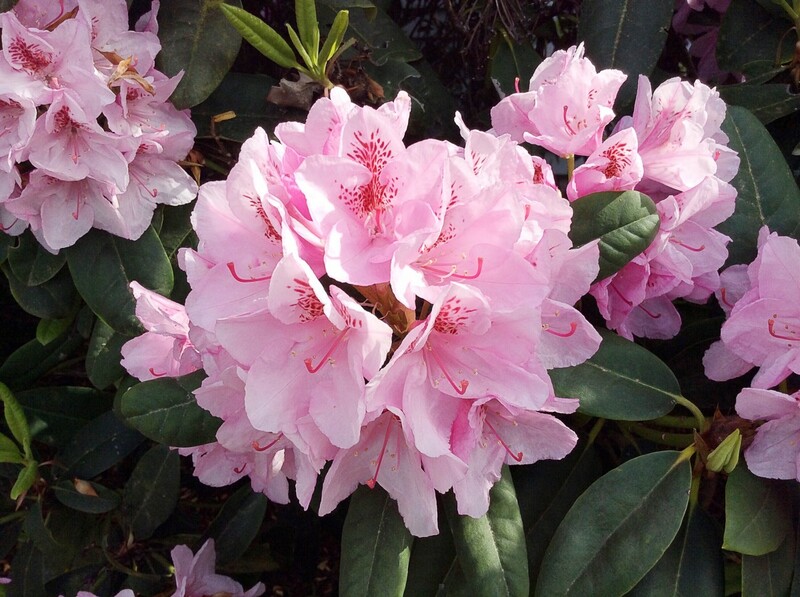 Rhododendrons are pollinated by insects, including bees. The toxin is found in the nectar and pollen of the flowers and enters honey. Honey that contains a significant amount of grayanotoxin is sometimes known as "mad honey" because of its effects on people. Honey from the Black Sea area in Turkey is especially prone to a high grayanotoxin level. An interesting story on the Kew Gardens website describes how this was historically useful for a particular ruler. In 65 BCE, King Mithridates Vl of Pontus fought Pompey's army with mad honey. Slices of honeycomb containing the toxin were distributed along the route of the army's approach. The soldiers stopped to eat the honeycomb and eventually fell into a stupor. The king's army then attacked and killed them. Grayanotoxin is also present in the leaves of a rhododendron plant. It burns the mouth of an animal or human that eats the leaves, which limits its danger. Most animals avoid it. Our body can break the toxin down when it's ingested in small quantities, which also limits its effects. The toxin is harmful if a large amount is ingested, however. Grayanotoxin often causes stomach upset, nausea, and vomiting at first. This may be followed by low blood pressure, muscle weakness, and a lack of muscle coordination. Most people seem to recover from the effects of low doses of the toxin. Medical attention should be sought if symptoms are severe or last for a long time. 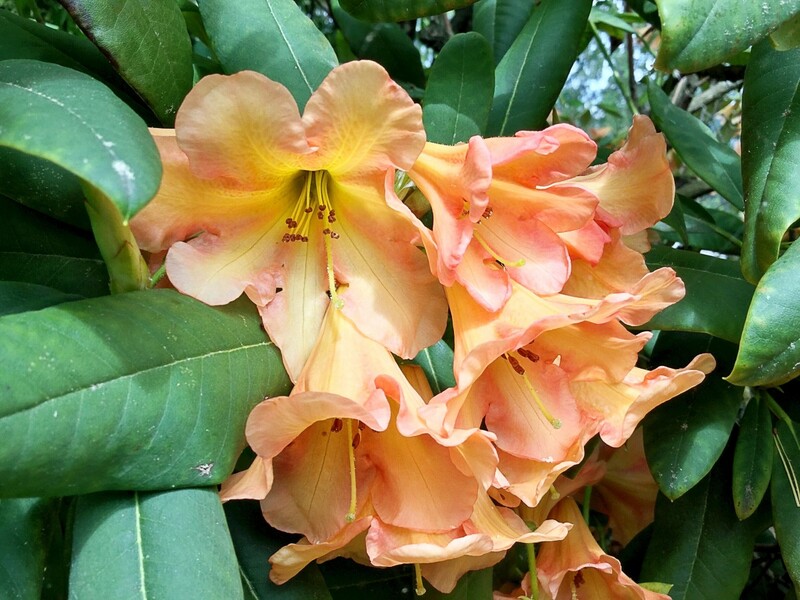 Some rhododendrons have delicately-colored blossoms while other have vibrant colors. The cultivar selection for gardeners and landscapers is lovely. In May, it's hard to go for a walk in my neighborhood without seeing rhododendron flowers in someone's garden. I find both rhododendrons and azaleas in multiple colors. 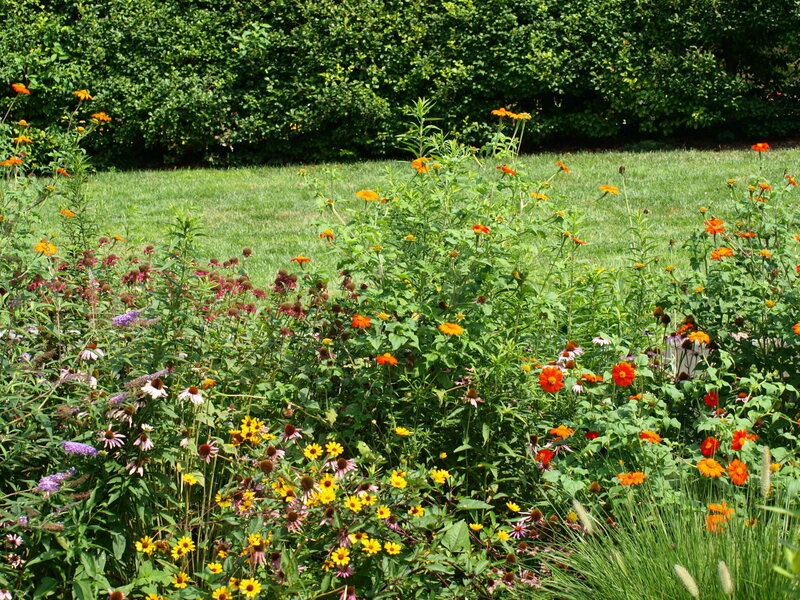 Many landscaped areas, parks, and botanical gardens also have examples of the flowers for me to admire and photograph. Plant stores and nurseries often have a wide selection of rhododendrons that can be purchased. They may also provide information about the plants and offer useful workshops. 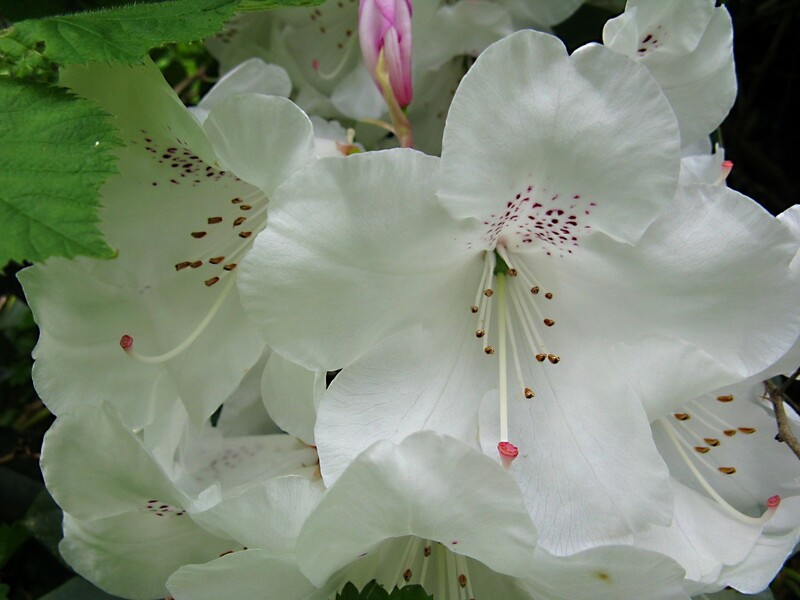 In addition, many rhododendron societies provide information and growing instructions. Most of these societies have very helpful websites. It's easy for a flower enthusiast to find help. The American Rhododendron Society website contains a lot of helpful information about rhododendrons and azaleas. 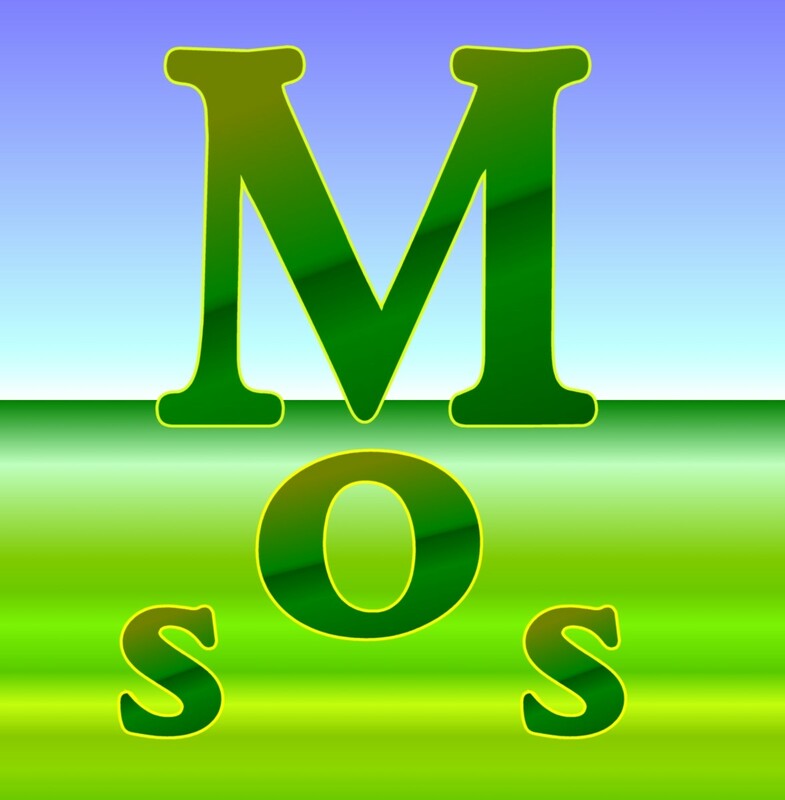 The society has chapters in the United States, Canada, and other countries. Useful rhododendron information can also be found at the website of the Royal Horticultural Society. Poisonous rhododendron nectar is described on a Kew Gardens webpage. The organization is also referred to as the Royal Botanic Gardens, Kew. 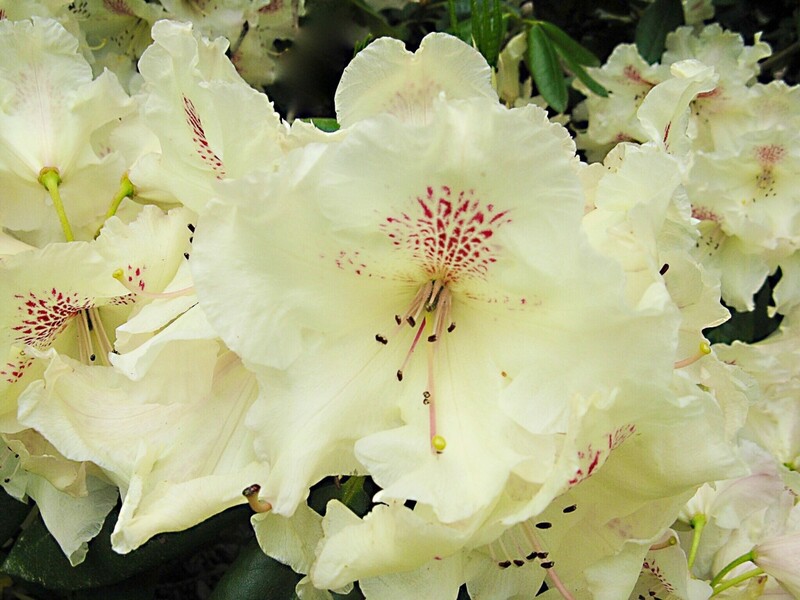 Only certain varieties of rhododendrons are advertised as being deer resistant. Some research is needed to find a suitable variety before purchasing a plant. Even when a resistant rhododendron is planted, there’s no guarantee that deer won’t eat the plant, especially when they’re very hungry. There is a better chance that the plant will stay intact, however. Either the grayanotoxin in some rhododendrons is too diluted to hurt deer (or is even absent), or they are willing to suffer unpleasant effects when they’re hungry. 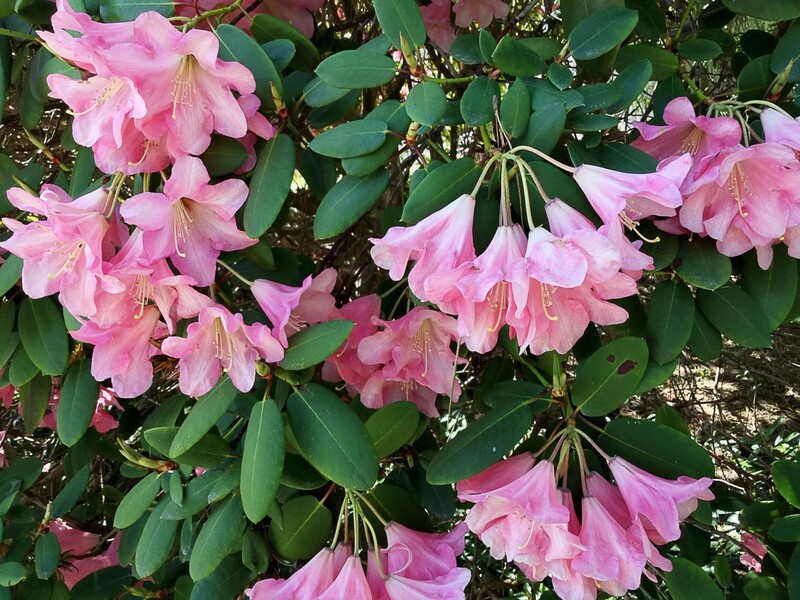 When is a good time to trim my rhododendrons? 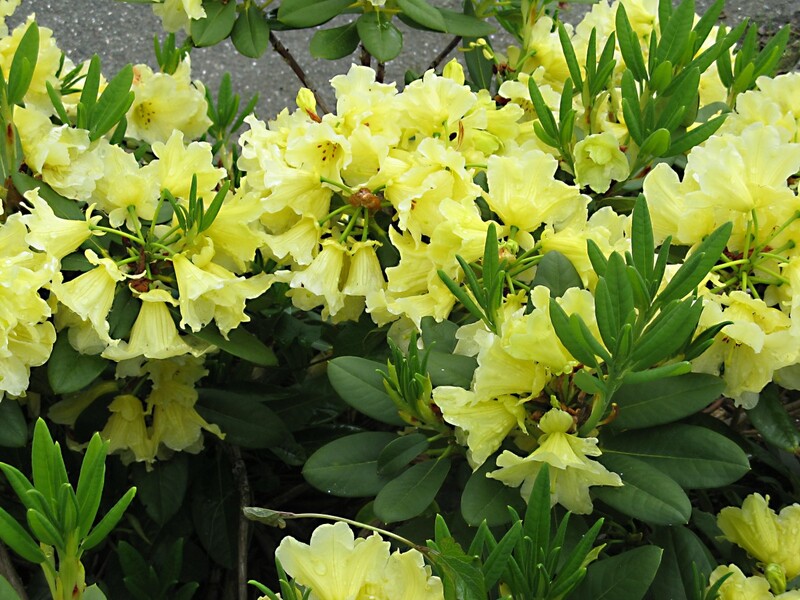 It’s often said that the best time to trim a rhododendron bush is in the late fall after it’s finished flowering. Light trimming includes maintenance procedures and perhaps the removal of the outer sections of the biggest branches. It’s important that the flower buds for the next season aren’t removed during trimming, or the plant won’t produce flowers in the next season. Heavy pruning of a bush requires more care. The bush can regrow when all of its stems are drastically reduced in length. I’ve never done this, though. The results may be variable. 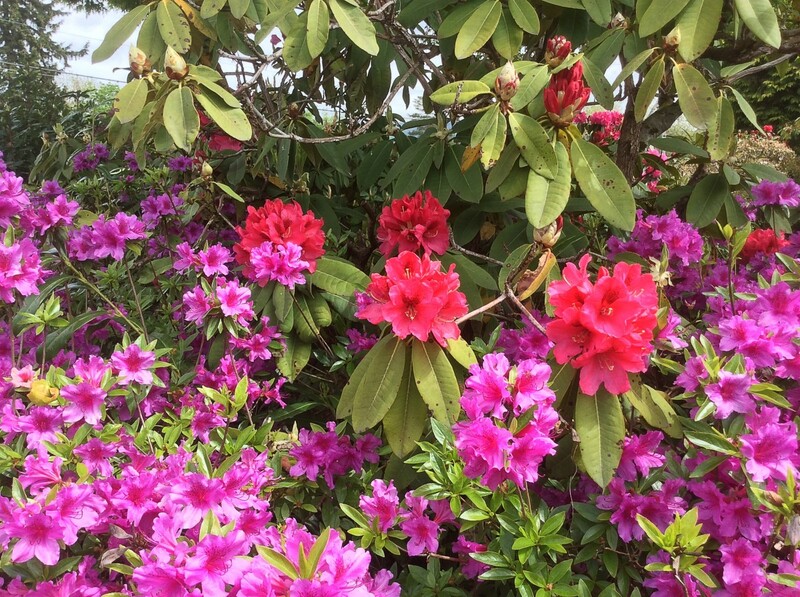 There are three rhododendron bushes in a landscaped area near my home. All of them were heavily pruned last fall. Some of their thick, woody stems were sawn off, and the bushes were considerably reduced in size. The biggest and most vigorous bush is recovering nicely. It has bloomed this year, although there are far fewer flowers than usual, and there’s a lot of sticky new leaf growth on the bush. The second bush hasn’t flowered this year. It has lots of new leaf growth, though, and seems to be doing well. The third bush is in trouble. It hasn’t flowered, most of its leaves have died, and there is only a little new growth, all of it in one part of the bush. 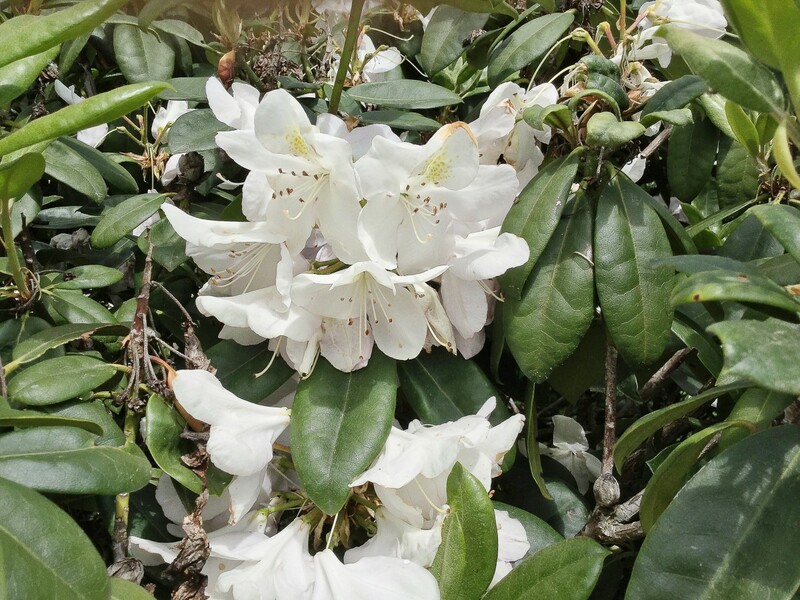 If you intend to do anything more than a light trimming of your rhododendron, you should do some research about the best way to prepare the plant ahead of time and to actually prune it before you start. It’s also a good idea to research the best way to disinfect cutting tools before any type of trimming or pruning. Why are my rhododendron leaves turning brown? There are several possible explanations for why rhododendron leaves turn brown. They include drought, pests, viral infections and chemical changes in the soil. These changes may occur due to fertilizers with an unsuitable level of nutrients or the use of herbicides that damage the plant. 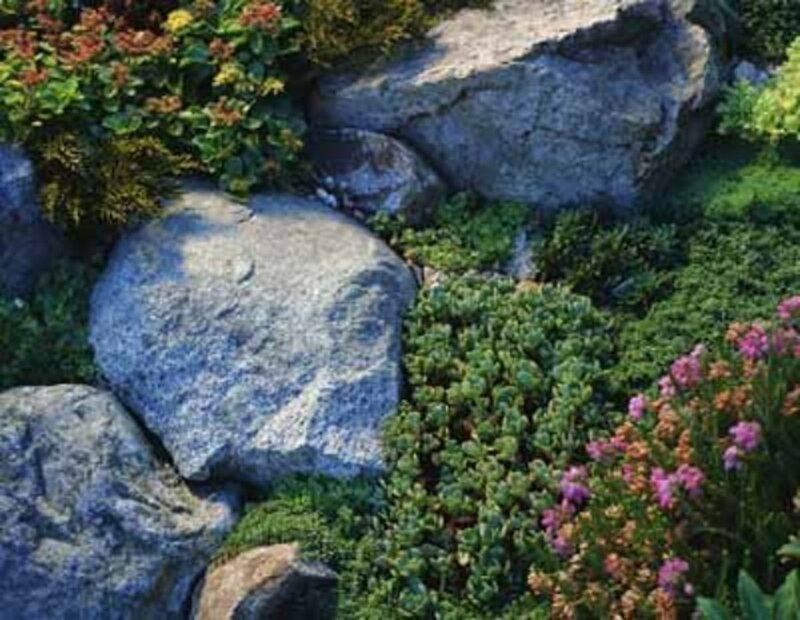 An unusually cold spell in late spring can also damage the plant, as can inadequate drainage. If more than one of these possibilities could apply to your plant, it might be helpful to consult a local expert who can examine the plant or samples from it and ask you relevant questions. You might find an expert at a garden store or plant nursery or at an agriculture extension department of a university or college. The flowering time depends on the species and variety of the rhododendron and the climate in an area. Rhododendrons generally flower from late winter to early summer. Here in the Pacific Northwest region of North America, April and May are prime time for the blossoms to open. One nice thing about the bushes with large and showy flowers—besides their beauty—is that different flowers on the bush often bloom at slightly different times, which extends the enjoyment for someone who likes to observe them. Planting different varieties of rhododendrons that bloom at slightly different times of the year is also a way to extend the enjoyment. The Best Flowering Shrubs and Bushes for the Eastern and Western U.S.
No, I don't, Naomi. I hope you're able to save your plant. Thank you for the comment, Dhanvi Patel. Hi, DDE. Thanks for the visit and the comment! The photos are so beautiful and the information opens my ind to new knowledge and a great hub indeed! Thank you very much, oliversmum. I appreciate your visit! AliciaC. Hi. Thank you for all this information on the Rhododendron,especially the poison which I was unaware of. Thank you, Gail. Rhododendrons are beautiful. It's very enjoyable to photograph them. These are beautiful. Thanks for the information and pictures. Thank you so much for such a lovely comment, Suzie! I appreciate the vote, the share and the pin, too! What a stunning collection of photos you have! Such gorgeous Rhododendrons and I agree with you purple is my favorite too. Really interesting article and did not know azaleas were related but now it makes logical sense. Great article, voted up +++= shared and pinned to flowers! Thank you very much, drbj. Although rhododendrons don't grow well where you live, I'm sure that there are some beautiful flowers that grow well in your climate but don't grow well in mine! Your rhododendron photos are spectacular, Alicia. My favorite is the purple variety, too. Thanks for the rhodo gardening tips but I don't think they grow well in the sub-tropics where I live. Too hot, too humid. Thanks for sharing the information, Deb. It's lovely to see wild rhododendrons as well as the cultivated types. They are all beautiful! I had a lovely lavender rhody in DE when I lived there, which was pretty old. When I bought the house, I heavily pruned it, and it ended up gorgeous, with the sweetest aroma. When I lived in central PA, they had wild white rhody plants, which were very beautiful. I recall them growing out of the shale outcroppings in higher elevations. Thanks for the visit and the comment, Kathi. I love both of these flowers, too! Thank you, Cynthia. 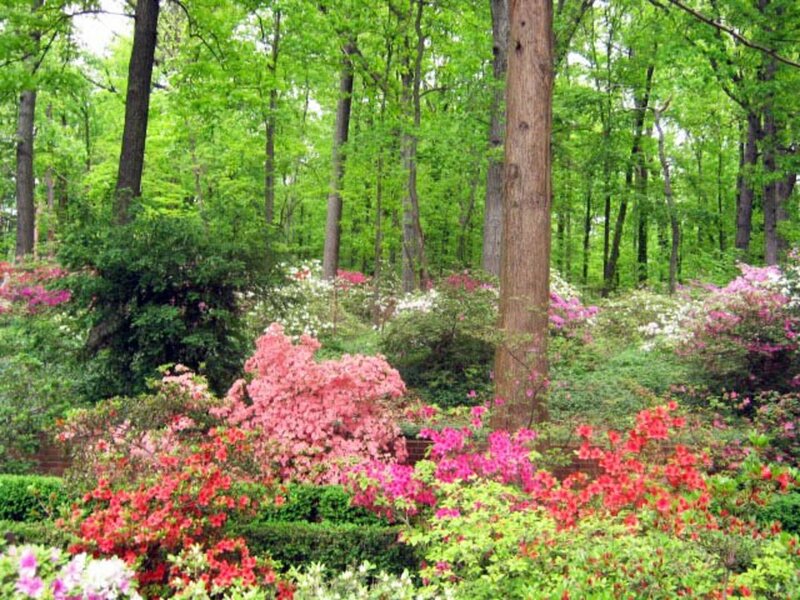 Rhododendrons and azaleas are beautiful. I love to look at the flowers and to photograph them! Thanks for all the great tips on growing rhododenrons and azaleas Alicia, such beautiful, colourful flowers. Thank you, Martin. It's interesting to hear that rhododendrons grow well in South Francisco. Thank you for this. These do really well in SF. Thank you for the visit and the comment, Ingenira! Such a beautiful flowers, and excellent photos too ! And good to know more about this "rose tree". Thank you, Maren Morgan. I appreciate your comment about the photos! Thank you very much for the comment, the vote and the pin, Peggy. I've never been to Golden Gate Park. That's a trip that I'd very much like to make! I did not know that rhododendrons and azaleas were related but the flowers are certainly similar. The azaleas grown in our part of the world are evergreen. In fact I did not even realize that some are deciduous. My husband and I loved the tall and beautiful rhododendrons we saw blooming in the Golden Gate Park on one of our vacation trips. I really enjoyed learning about them from your wonderfully illustrated hub. Up votes and pinning. Thanks for the comment and for pinning the hub, Glimmer Twin Fan. Good luck with your rhodo! Useful hub for me. We have one rhodo thriving and one that is really struggling. Unfortunately is the big one in the corner of the front of the house that is not doing well. Pinned for future reference. Thanks, tipoague! I appreciate your visit and comment. Wow, I found it interesting to read about people dying from eating honey made from these flowers. I would have never thought about that till you mentioned it. Great hub! I loved the photos too! The flower colors are certainly very enjoyable, especially at this time of year! Thanks for the visit, Bill. They have busted out all over down here in Washington. Love the sights this time of year....brilliant colors. Anyway, great tips for those who have not had the good fortune to live where we live.